please look after my suitcase. that I may see it once again on the carousel. As you walk through the valley of unclaimed baggage, be confident that you have given your bags the extra edge of protection from above. 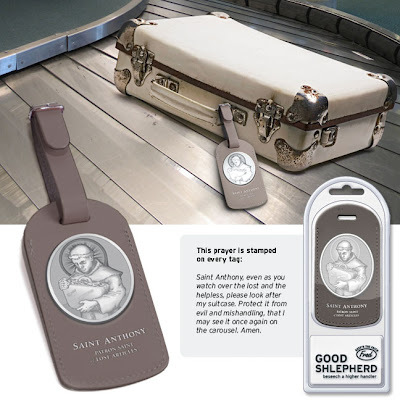 Anthony, the Patron Saint of Lost Objects, has you covered. Never travel without him!